Benjamin K. Roe is WGBH’s Managing Producer for Music and Performance, coordinating and overseeing music events and activities among WGBH’s multiple broadcast, online, and community outlets. Mr. Roe joined WGBH in March of 2011, initially as the Managing Director for Classical Services, overseeing the activities of 99.5 WCRB, including the launch of five online music channels, and the introduction of two YouTube channels devoted to WGBH Music performances. 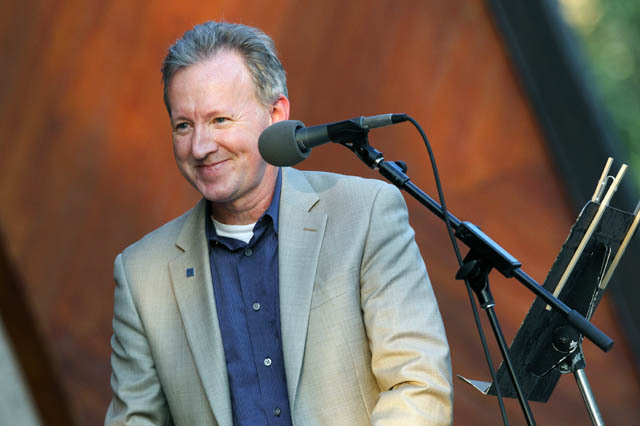 Prior to coming to WGBH, Mr. Roe served as the General Manager of WDAV 89.9 FM in Davidson North Carolina, after a 20-year stint at NPR, in Washington, DC, where he served in a variety of roles including Director of Music and Music Initiatives. His three-decade career in public media includes a Grammy Award, a Chairman’s Medal from the National Endowment for the Arts, a George Foster Peabody and ASCAP-Deems Taylor Award, and he was a key member of the NPR Cultural Programming staff to win a National Medal of the Arts. Mr. Roe also serves as the Artistic Director of the “Music and Museum” series at the Bechtler Museum of Modern Art in Charlotte, NC, and is a frequent guest lecturer, adjudicator, and pre-concert speaker, having served in those capacities for the European Broadcasting Union (EBU), Washington Performing Arts Society, the La Jolla Music Society, the Spoleto Festival USA, the University of Texas at Austin, and the Library of Congress. Since his relocation to Boston, Mr. Roe also now serves as an Overseer of the New England Conservatory of Music and the Boston Landmarks Orchestra, an Artistic Advisor to From The Top, and sits on the national board of Early Music America. He is an alumnus of Middlebury College in Vermont, and pursued graduate studies in Broadcast Administration at Boston University’s College of Communication.